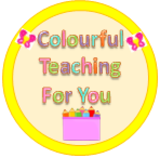 Ask Colourful Teaching For You a question. They will receive an automated email and will return to answer you as soon as possible. Please Login to ask your question. Specializing in all things INQUIRY. I have had the opportunity to teach grades K -7. I have spent most of my time in grades 2 and 7. I am currently a grade 2 teacher who is enrolled in the Masters of Education in Teaching English as a Second Language. Learning and Teaching has always been my calling and I am enjoying every moment of it. I enjoy thinking and teaching beyond the curriculum to ensure that my students are engaged in a meaningful way. I focus on inquiry and experiential learning. Therefore, my products are designed to captivate students on an individual level. The greatest honor and award that I could ever receive are the words of praise and support from my students, their parents, my peers and administrators. I love my students dearly and I will continue to post items that are near and dear to my heart because they are loved by my students. Bachelors of Arts (focus: Archaeology) - Simon Fraser University Bachelors of Education (focus: Social and Emotional Education) - University of British Columbia I am currently working toward completing my Masters of Education in Teaching English as a Second Language. As well, I have a diploma in Sociology and I am a certified Event Planner and Legal Administrative Assistant. Nevertheless, my passion is and always will be, teaching.